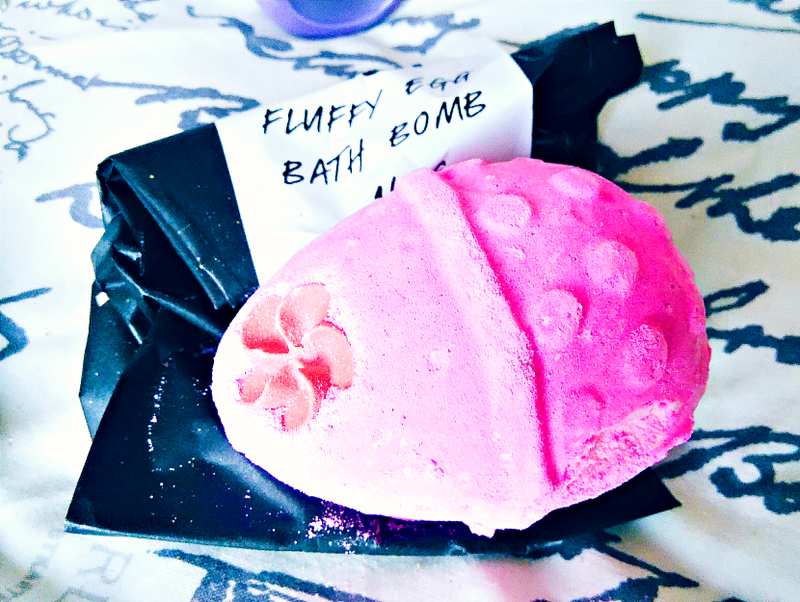 Last month I attended a bloggers’ event at LUSH Cardiff, which I really enjoyed. 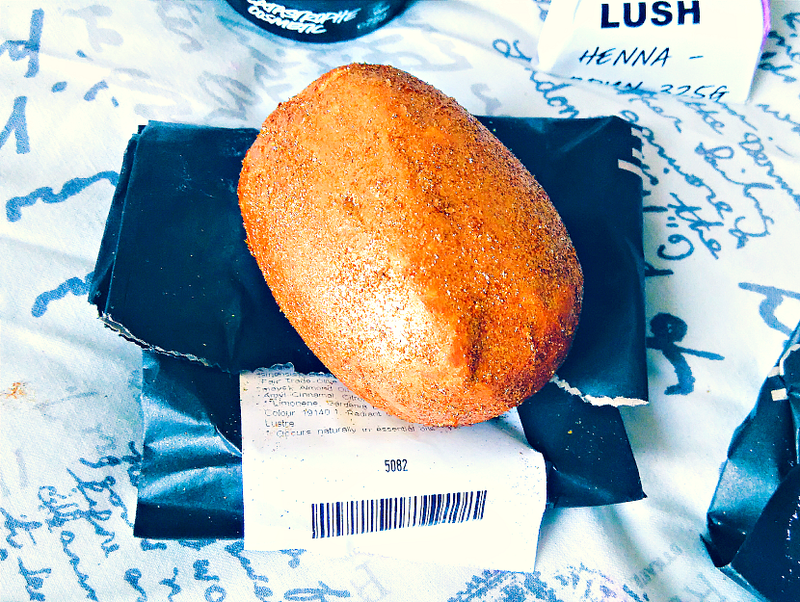 I was lucky enough to be given a goodie bag, and I thought it was about time I talked about the bath bombs inside, which also happened to be my favourites from the Easter range, Fluffy Egg and Golden Egg. Although I have a bath in my house, the bathroom is absolutely freezing and I stick to showering in the other bathroom (yeah, we have two, it’s the best decision my landlord has ever made), so I don’t really use bath bombs that often. I made sure to take these two with me to my parents’ house when I travelled back last week. As soon as the assistant told me Fluffy Egg smelled like Snow Fairy I was sold! Sweet, candy-scented, musky — this really is the scent of happiness. The bath bomb itself fizzes away quite quickly, and it leaves the water a bright shade of pink; I must admit, I felt like a princess. Most importantly, the scent lasts. Definitely the best bath I’ve had in a while. It’s soooooo sparkly! I literally touch it for a second and my fingertips come away looking like they’ve been dipped in glitter. Fortunately, Golden Egg is not all pout and no trousers; it contains cocoa butter, plus sweet wild orange oil, bergamot oil, almond oil, and gardenia, which together create the prettiest scent. This takes longer to fizz away than Fluffy Egg does, which makes for a more relaxing bath, and as much as that amount of glitter scares me, it’s actually quite subtle once it’s in the water (although do rinse your bathtub after!) The cocoa butter means you don’t have to moisturise, so I hopped out of the tub and straight into my pyjamas, ready to sleep. I’m a wild one. Have you tried any of the LUSH Easter goodies? Which product is your favourite? Let me know in the comments! Beth, 25, South East England. Lover of books, dogs, yoga, travel, gin, and the Oxford comma. I write about cruelty-free beauty, vegan & veggie food, and trying to lead a less wasteful life. I throw the odd think piece in there, too.